In May 25 2018, the European Union introduced the GDPR law which is already making a lot of organisations and institutions seek out new ways of complying with this directive. 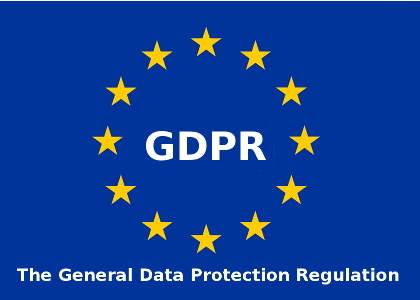 The GPPR law is a regulation that requires various businesses to protect privacy and personal data of citizens from the EU countries. Such personal data usually comprises an email, date of birth, home address, personal interests or any other information that one considers to be private. The main reason for establishment of the GDPR law is the customers’ lack of trust to companies that process their personal information. EspoCRM is an open source web application that allows you to enter and evaluate your company relationship in a secure and simple interface. The software is well equipped with a natural and navigable interface that turns every integration into a seamless process, thereby helping users discover more opportunities and evaluate their projects and companies. Such an easy-to-use interface helps companies to organize information, and that results in the enhancement of the product sales and other services, creation of long-term relationships and impetuous business growth. EspoCRM has plenty of excellent features, and a powerful CRM platform that can be used by various industries and organizations. The software is also flexible because it gives the organization an option of deploying the software in the cloud or on-premise. EspoCRM and the GDPR have one feature in common, which is to build trust and credibility between business companies and their clients. The GDPR law imposes strict requirements on how organizations and various institutions collect, store and manage client’s personal information. Ability to inquire about personal data – if required, EspoCRM provides clients with available personal data for specific records such as contacts, accounts, leads entity and custom entity. Ability to erase personal data – Regular users can view or delete their data if they have “Data Privacy Permission”. The detailed view of the record menu has an option that allows user to delete specific private data fields. Ability to change an email address opted-in by default – New global settings specify whether new emails should be opted-out by default. If an email address is set to opted-out, there will be a clear visual indicator and the client won’t receive marketing emails. The GDPR law is not aimed at making organizations and companies lose clients or reduce sales. On the contrary, its primary objectives are to establish trustworthy relationships between companies and clients on the one hand and to assure clients that their personal data won’t be used for wrong purposes on the other.